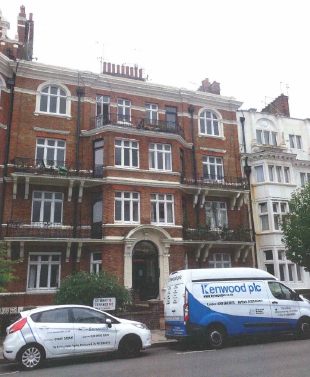 An aggressive outbreak of Dry Rot has just been treated within a three story block of flats in West London. This outbreak was caused by a problem with defective balconies and window seals. Dry Rot is caused when timber comes into contact with damp masonry. This outbreak was spread over the first, second and third floor flats and required the removal of timber and wall plaster. 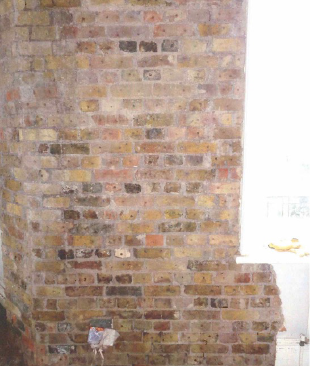 Following this, the brickwork was irrigated which is the term used to eradicate Dry Rot from masonry. Holes are drilled into each brick and a fungicide is injected into the brickwork until fully impregnated. With our works complete and the replacement of the balconies and window frames the tenants can return to a fungal free home.